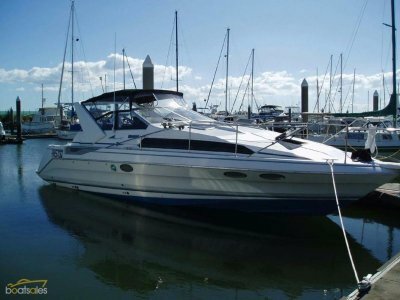 These Chris Craft are rare to find, and Diesel's even harder to get. 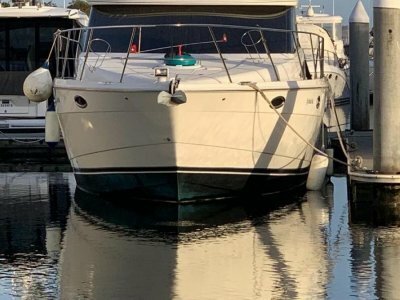 This boat has been exceptionally well maintained religously by professional shipwrights, and has a current (as at end November 17) out of water and accredited Volvo dealer mechanical survey. 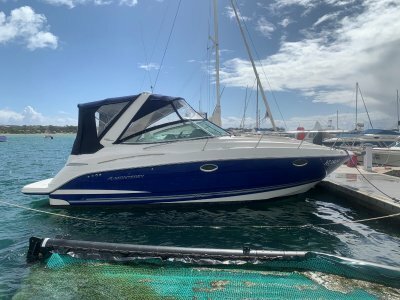 Chris-Craft's Corsair 36, fitted with twin Volvo Penta D6 310-horespower stern drives, can zip across the seas at top speeds approaching 40 knots. 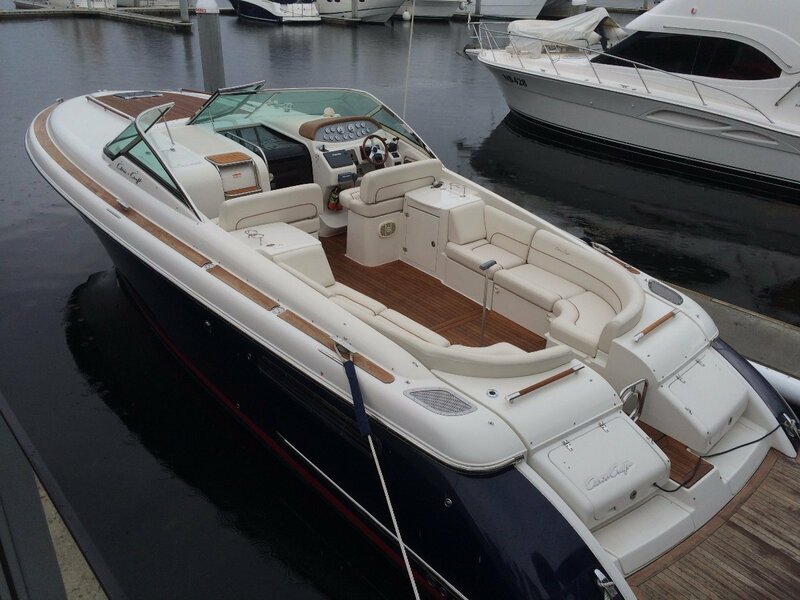 Your boat will have plenty of admirers, as the 36 retains Chris-Craft's iconic lines, and in the stunning blue has plenty of visible teak. Guests can relax in the U-shaped aft seating area, while the captain mans a helm outfitted with eye-catching, custom Chris-Craft gauges. A power-assisted bimini top can be raised aloft to provide shade and comfort for everyone. Down below, there's a fully equipped galley, convenient for serving food to the dining table in the saloon. If extra accomodation is required the saloon converts into a sleeping area with room for two. A full head is also in this space. The fully private (enclosed by a door) large master cabin has a Queen sized bed with plenty of storage and space. 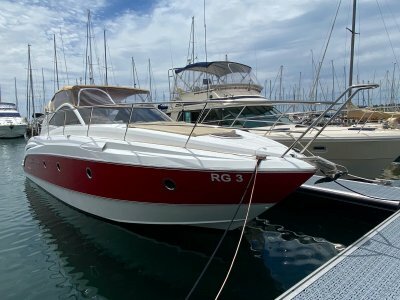 There's certainly a lot packed onboard this iconic boat, that makes sense, because when you're all having so much fun onboard, you probably won't ever want to leave, this is a boat to really enjoy! The Chris-Craft Corsair 36 is the type of boat that turns heads, and the one thing I noticed is that we were being noticed. The best thing Chris-Craft did was re-establish its classic brand identity, so anyone walking by the marina will immediately recognize it as such. Like all the new Chris-Craft models, the Corsair 36 flaunts its distinct aft tumblehome in concert with its eye-catching bow flare.